Religious guilds or fraternities proliferated throughout England until their dissolution in the late 1540s, yet remarkably few of their records have survived. Amongst the survivals are the last twenty-one years of the accounts of the Luton Guild of the Holy Trinity, hitherto unpublished in full. The accounts record several hundred transactions each year, including rents for the guild’s properties, and expenditure on wages to priests and clerks and dirges sung for deceased members of the guild. Purchases of food, the cost of hiring cooks, kitchen helpers and utensils and expenditure on entertainment show what extraordinarily lavish provision was made for the annual feast. The quantity of building materials which was purchased for the guild`s properties suggests not only repairs but also modernisation and may be sufficient to attempt to reconstruct some of the houses. The majority of `brothers and systers` of the guild were drawn from a radius of about twenty-five miles of Luton and included the towns and villages in neighbouring Hertfordshire and Buckinghamshire. A small, but noticeable, group were from London, Canterbury, Boston and Kendal. 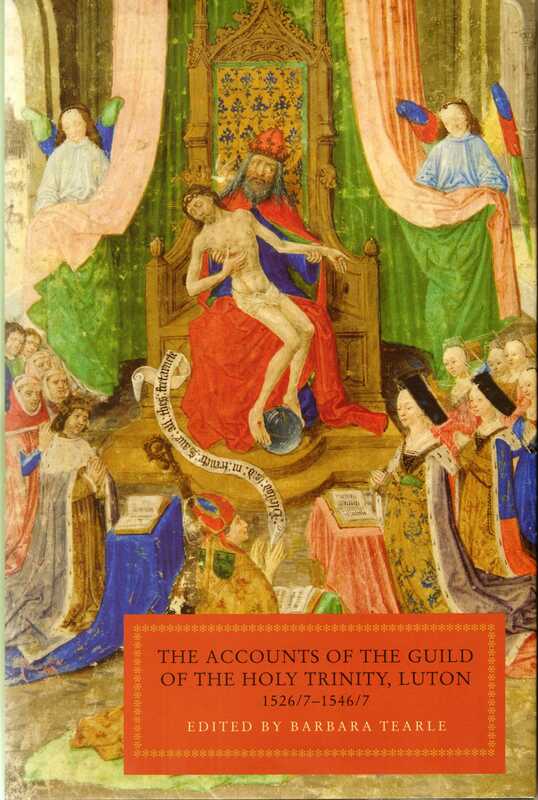 The guild was prosperous, well-connected and active, and its accounts provide an insight into daily life in mid-sixteenth-century south Bedfordshire and the surrounding area. The book contains a complete transcription of the accounts and an introduction presenting an overview of the guild`s activities. It is fully indexed. Barbara Tearle is a retired librarian, formerly working at the Bodleian Law Library, Oxford. She was editor for BHRS for nine years and is currently engaged in local history research with a support group for the Oxfordshire VCH. ‘Every year, several guild members had their houses repaired … and this is where the accounts are of most relevance to the building specialist. What flares out of the darkness are vernacular details that we seldom see … Normally record society transcriptions form a “dip-into” kind of record, rarely meant to be read from end to end, but this is an unusually compelling book, where you might find yourself totting up the totals of livestock eaten at the feasts … and morsels of information such as the price of tiles …’ – Lee Prosser, Vernacular Architecture, 44 (2013), p. 124-5.